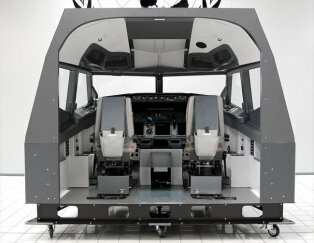 Professional Boeing 737NG 1:1 scale Cabin, windshield replica, full COCKPIT, Linked Yokes, Adjustable Pedals, Steering Tillers, Glarewings with annunciators, complete MIP with screens, annunciators and Gear Lever, new Boeing 737NG replica Seats with J-rails. NOT Included: First Officer CDU, Throttle quadrant, Pedestal, Overhead Panels, Audio system. How do I know how much is the shipping cost? 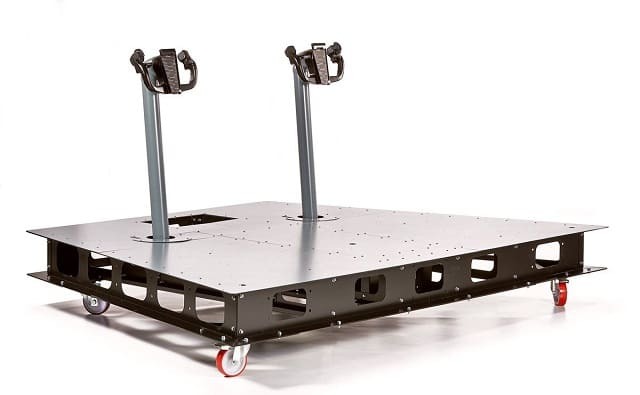 Steel Floorstand with wheels and Dual Linked Yoke with PASSIVE FORCE CONTROL SYSTEM (cod.858236). Master warning/caution lights, SIX pack with recall, system annunciators. All the functions are implemented thanks to dedicated driver (SIX pack requires Project Magenta PmSystems). 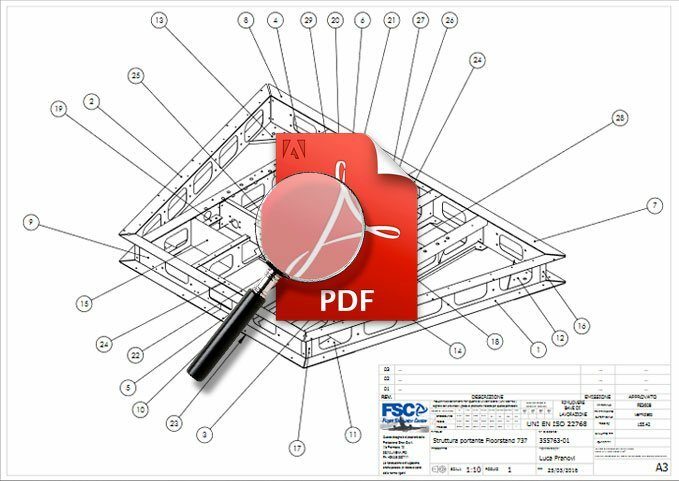 EFIS CPT and F/O side, all the functions are implemented (requires Project Magenta software), EFIS are connected directly to MCP with dedicated cable. NOTE: Parts in GREEN are NOT INCLUDED in MIP PRO KIT 3. 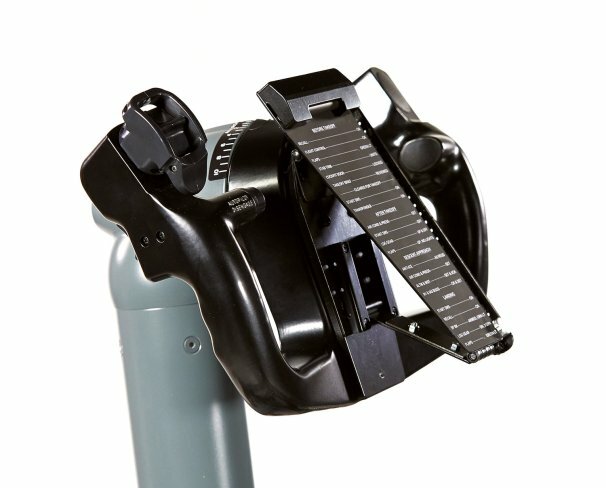 The NEW FSC FLOORSTAND PRO + YOKE PRO. 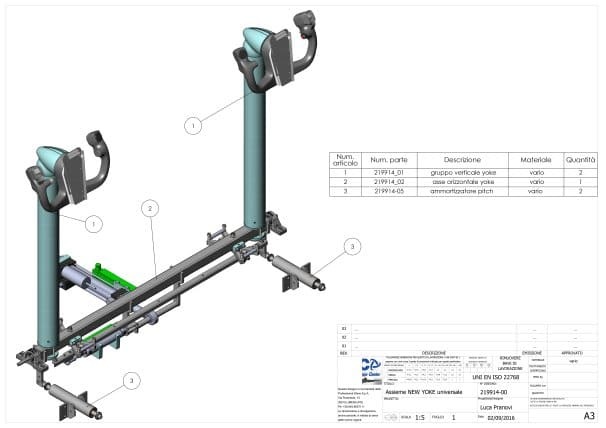 FSC FLOORSTAND PRO + YOKE PRO, internal structure. 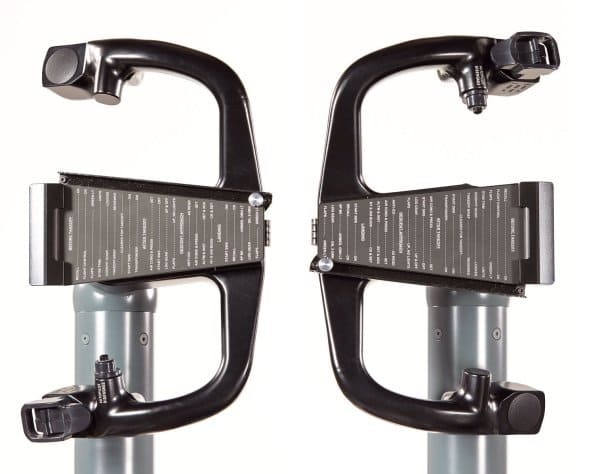 FSC FLOORSTAND PRO + YOKE PRO, internal structure (2). 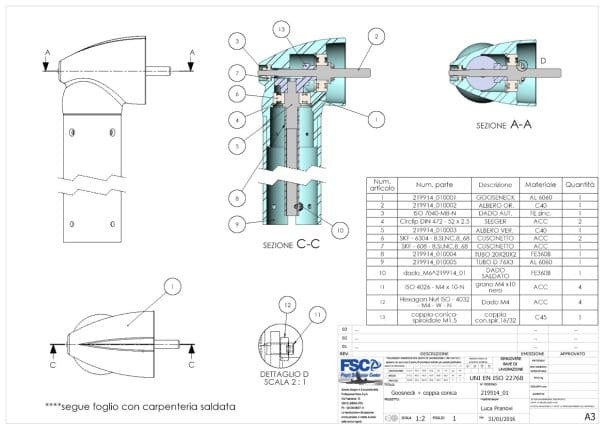 Thanks to the field experience gained during the past years, with intensive use by professional and amateur users, we have been able to further improve our FSC B737 YOKE, which has been completely re-engineered, with new mechanics and materials. 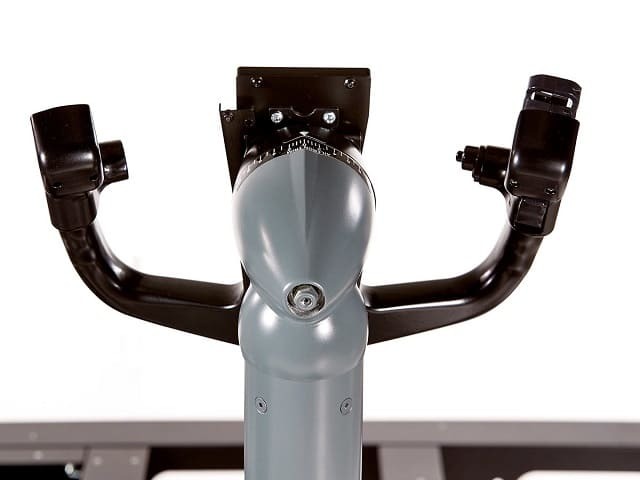 The new FSC YOKE PRO, detail. 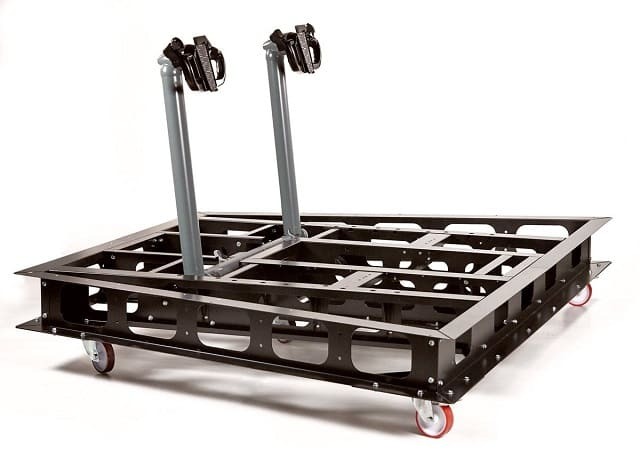 The 3.0 version features a robust but lightweight aluminium structure, engineered to better protect the gear box and to allow an easier installation and facilitate any maintenance operation, by granting access to its mechanisms from above the floorstand level, avoiding the need of lifting the whole structure. 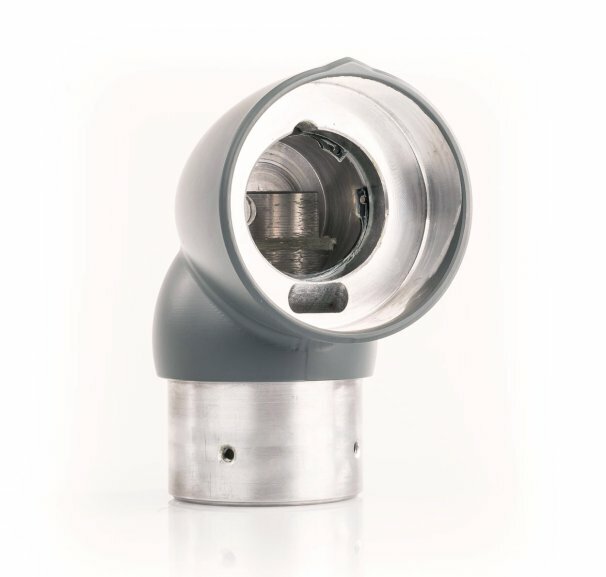 The new FSC YOKE PRO, aluminium gooseneck. FSC Yoke Control Wheel with the new Chartholder. To achieve an even higher realism, the bank angle has been widened in order to match the original one. 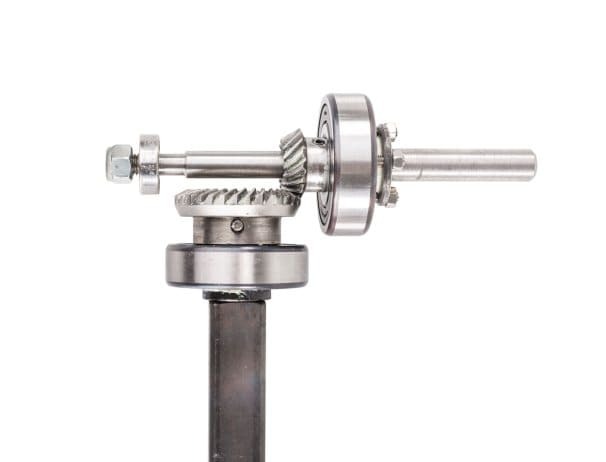 Furthermore, all gears and potentiometers have been completely replaced with the latest high-end components. The new developments redcued the slack on the steering wheel and further improved the accuracy of the whole system and the passive feedback settings. 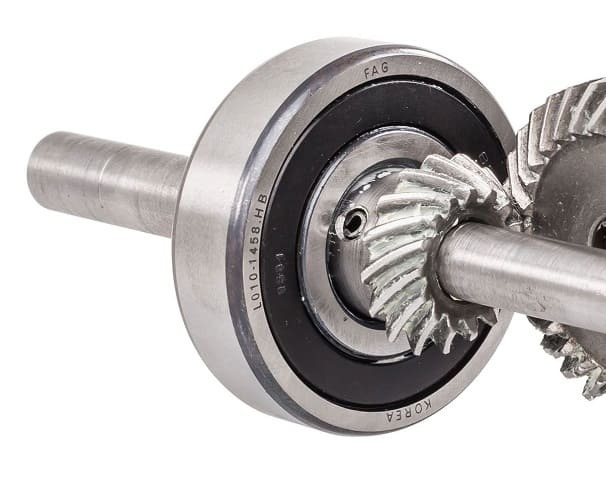 The new FSC YOKE PRO is more realistic, precise and reliable. 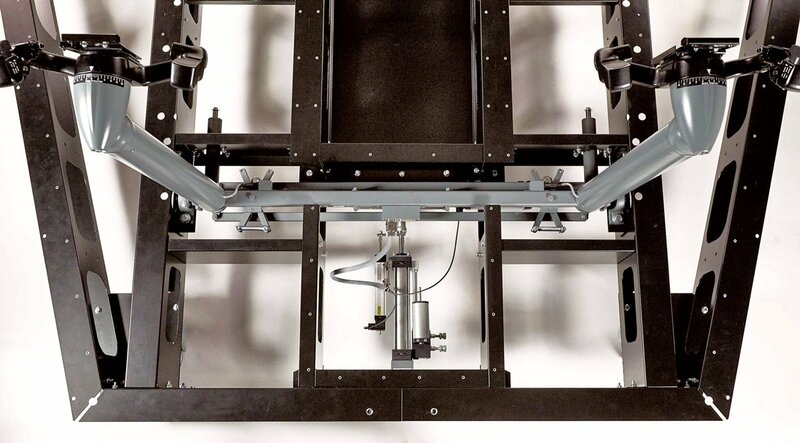 The new FSC YOKE PRO, real bank angle (90°L + 90°R). 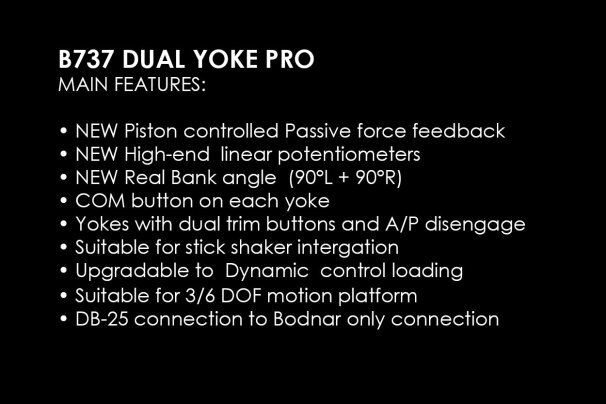 The new FSC YOKE PRO, precision mechanisms. 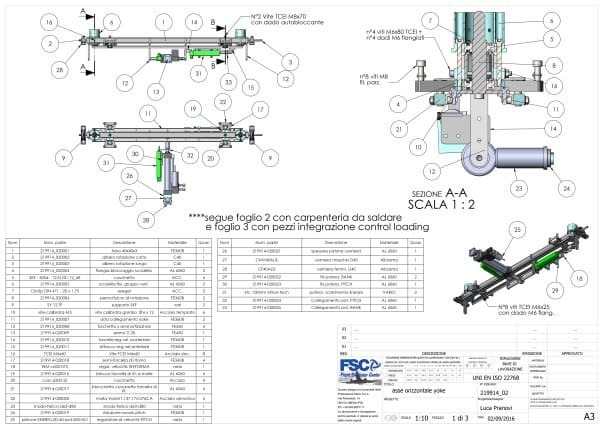 The new FSC YOKE PRO, mechanisms detail. 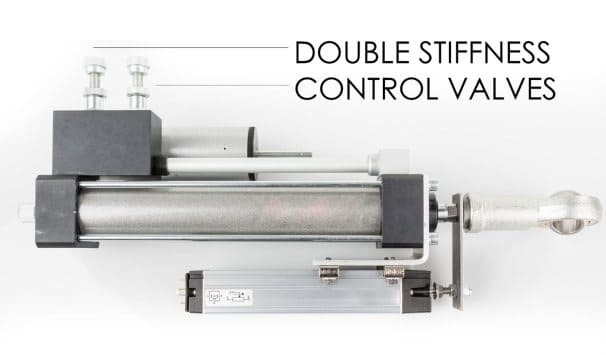 The new FSC YOKE PRO, bank force feedback system and high precision linear potentiometer. 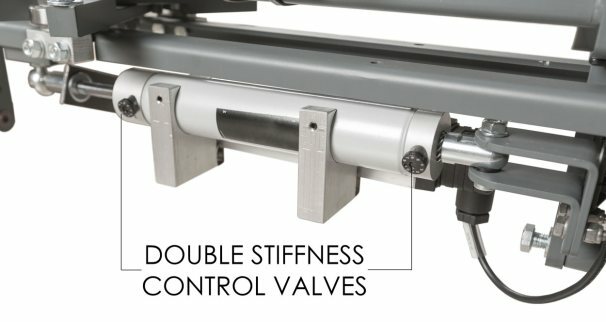 The new FSC YOKE PRO, pitch force feedback and high precision linear potentiometer. 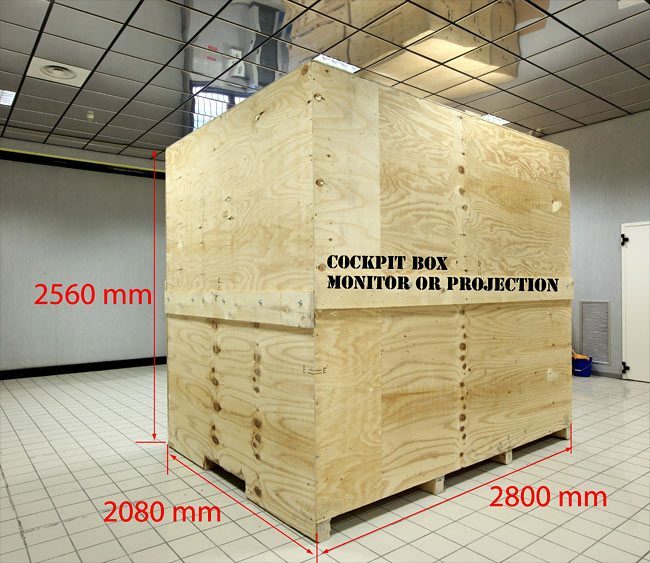 FSC Flight Simulators are packed and shipped in sturdy and safe industrial-grade wood boxes, tropicalized if needed. This way you can be sure to receive your product exactly as we made it. The dimensions of this product affect considerably the transportation costs, that will vary according to country of destination. By sending us your complete contact details (Name, Surname or company name, address, etc.) we will be able to issue a detailed offer including also shipping costs.